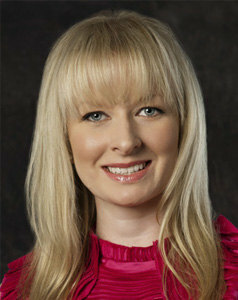 Andrea joined the @properties team in 2005. A longtime Chicago resident, Andrea grew up in the northern Chicago suburbs, and understands the distinctive characteristics of the many neighborhoods Chicago has to offer. Her goal is to exceed your expectations through personal communication, intelligent market analysis and hard work. Andrea strives to make each transaction a personal demonstration of her professionalism and utilizes the vast support and power of @properties to achieve the most successful outcome possible for each of her clients. She has strong negotiation skills and is a Certified Negotiation Expert. Throughout the years Andrea has recieved numerous awards including The Road to Rolex, CAR Top Producer and Exceptional Development Sales. Andrea is continually educating herself as well as her clients. She does this by staying on top of the market trends, learning about new developments and staying current with technology. By doing this she takes stress away from her clients. Andrea has a wide range of expertise working with sellers, buyers, investors, developers and renters. Andrea has also set up a great referral base of legal advisors, mortgage lenders and home inspectors. Andreas purpose is to make every transaction as smooth as possible. She executes this by keeping an open line of communication between herself and her clients. 95% of Andreas business comes from her past and present clients referrals. Andrea enjoys going to comedy clubs, new restaurants, music concerts and street festivals. She loves using her culinary degree to bake for her clients and friends. She takes barre, pilates, spin, core and strength classes at a popular River North Health Club. Andrea has traveled extensively throughout the world and has visited over 25 countries.